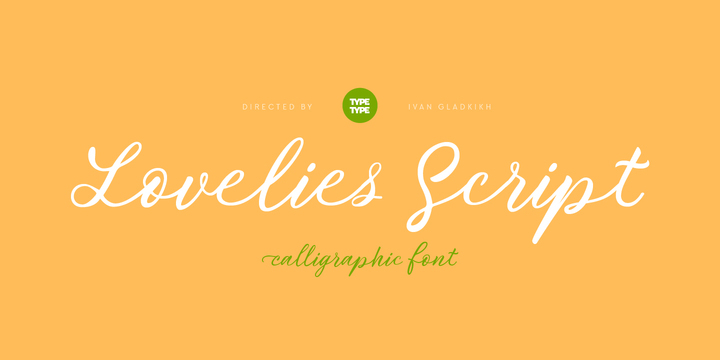 TT Lovelies Script contemporary typeface created by Ivan Gladkikh together with TypeType Team and published by TypeType which was designed to be suitable for the most complicated projects. Available with a big pack of OpenType features, features for all your needs. Most of Capital letters are connected with lowercase and also has multilingual support. Created with a freehand brush pen, TT Lovelies Script can be used for any kind of purpose. Lovely Lovelies! A font description published on Friday, January 13th, 2017 in Fonts, Ivan Gladkikh, TypeType, TypeType Team by Alexandra that has 2,823 views.